I have delivered my baby at Apollo Cradle under the care of Dr. Jayasree. She is the humblest person I have ever met. She encouraged me all the time and answered all my doubts with lots of patience. The best place I would suggest for my lifetime. Thanks Apollo Cradle. I am fortunate to have delivered my baby at Apollo Cradle under the supervision of Dr. Jayasree. My special mention to all the nurses who were so good and friendly. I was in a deluxe room which was always maintained neat and clean. Special thanks to housekeeping. One of the best place to feel the best experience during pregnancy is- Apollo Cradle. I am really cherished by the doctors and nurses over there. Special thanks to Dr. Jayasree who treated me. All the best Apollo Cradle keep going. Dr. Jayasree and team were the best they made me feel comfortable in all possible ways. I had got the best treatment and they all welcomed my baby very safely. Received the best care ever. Special thanks to the housekeeping staff. Highly recommended place for best birthing experience. Mrs.Aywunudiogba Tina – Jubilee Hills, Hyderabad. When I was looking for a gynae, a friend of mine insisted that I visit Apollo Cradle in Jubilee Hills as their doctors are amazing. As soon as you enter, the hospital gives you a luxurious feel. Here, I met this great doctor, Dr V Jayasree Reddy, who walked me through the whole process and cleared all my doubts patiently. The suite is fantastic with a lot of facilities. The hospital staff is also incredible. Great service by Apollo Cradle yet again. I was admitted to Apollo Cradle under the care of Dr Jayashree; she was helpful beyond her role and patiently helped me understand the entire procedure. There was open communication that made her trustworthy. The nurses are friendly, considerate, and accessible at all times. The staff is courteous and polite. There is almost no waiting time and the procedures are seamless and transparent. I would definitely recommend Apollo Cradle to my friends and family. 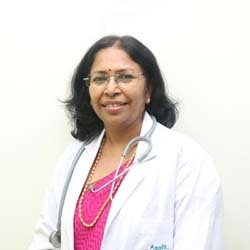 I came to Apollo Cradle for my delivery under Dr Jayashree who is a skilled and able doctor. My experience at the Apollo Cradle was excellent and I experienced no inconvenience during my stay here. I’d surely recommend Apollo to my friends and family members.